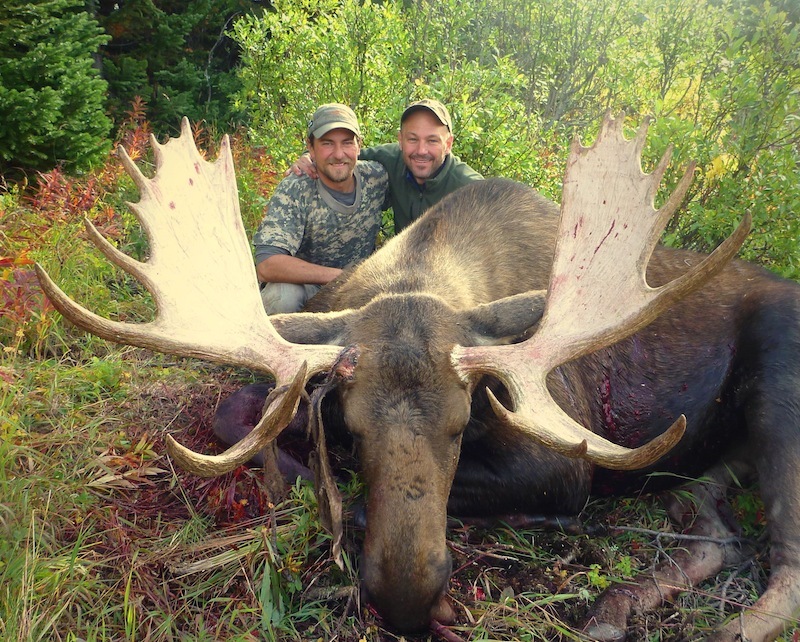 Canada is a great country for the most adventure hunters, specially in the west and in the north. 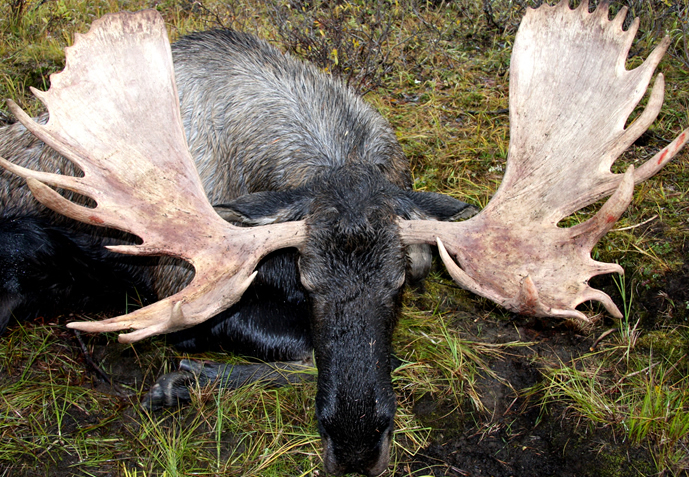 The species we can find here are: moose, caribou, black bear, grizzly bear, polar bear, mountain goat, stone sheep, dall sheep, elk, mule deer, whitetail deer, musk ox and wolf. 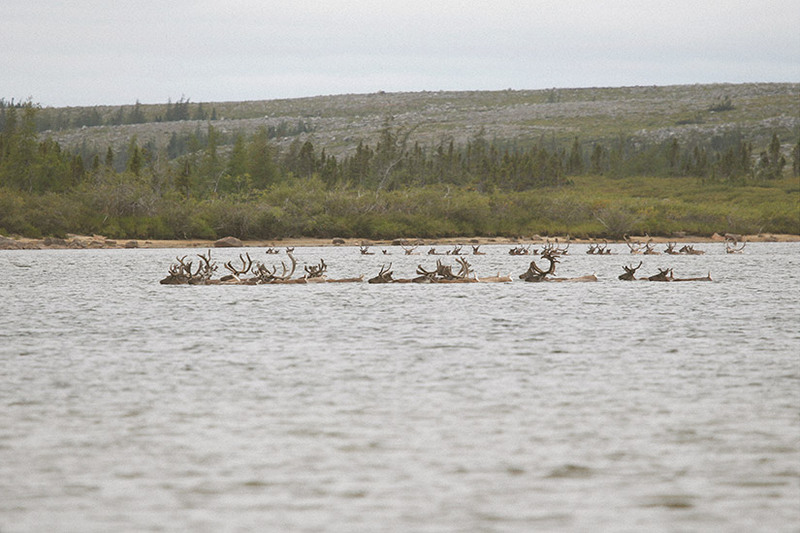 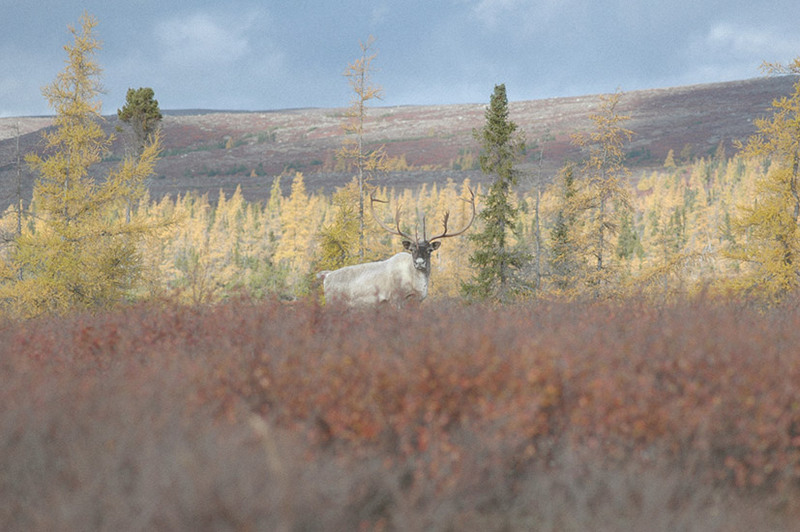 Some of the species like the caribou and the moose have different subspecies through the country. 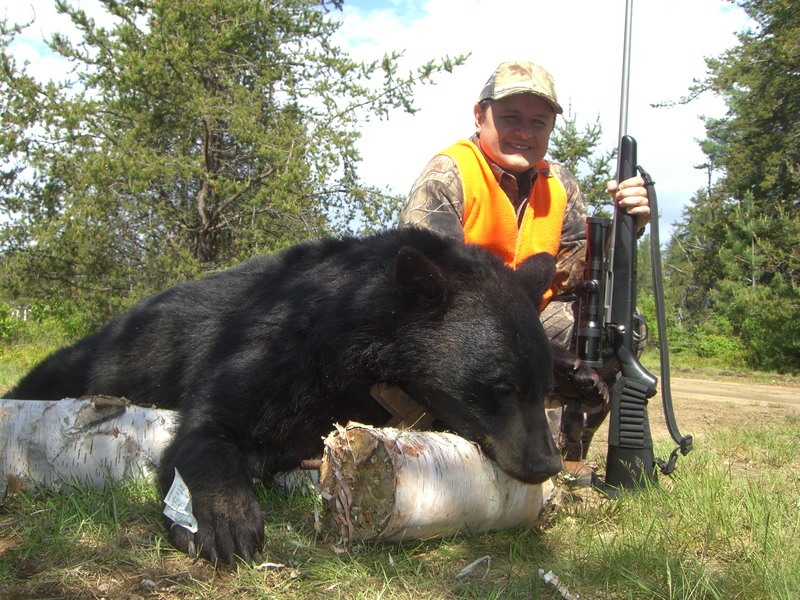 This state is the most popular one for black bear although there are also very good hunts for caribou, buffalo, elk, moose and whitetail deer. 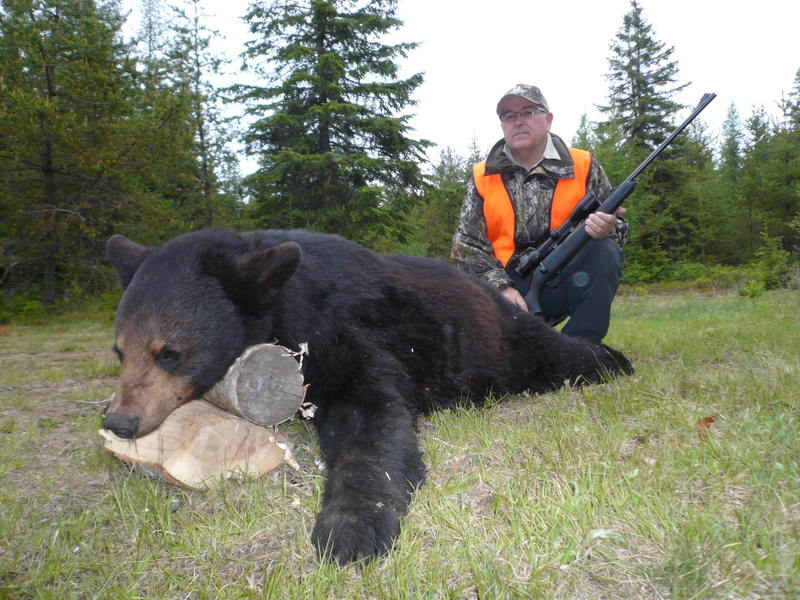 Black bear: it is hunted only by waiting in feeding places, the hunting season goes from last week of may to end of june. 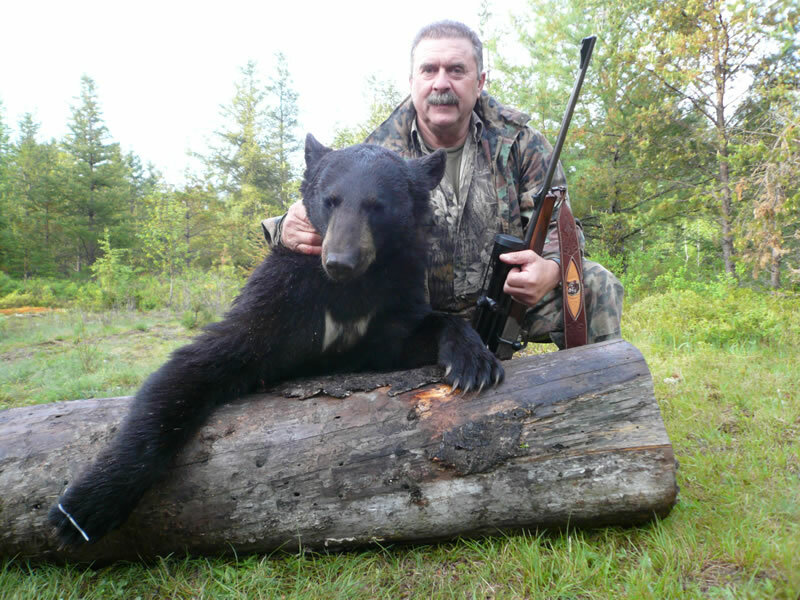 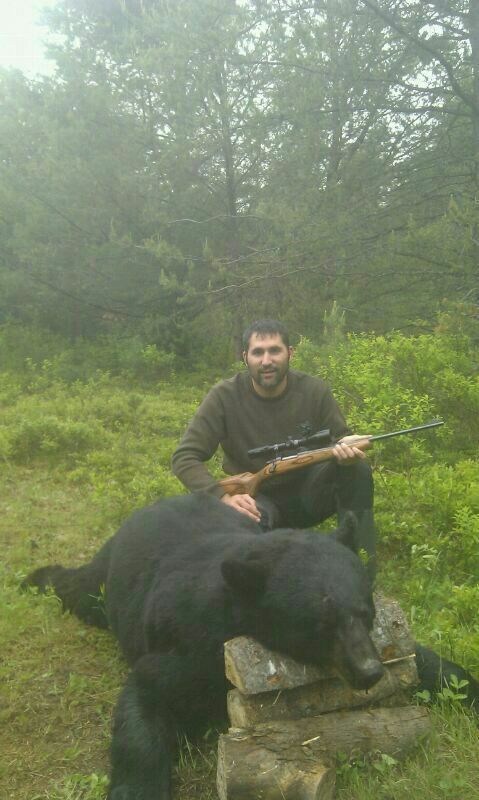 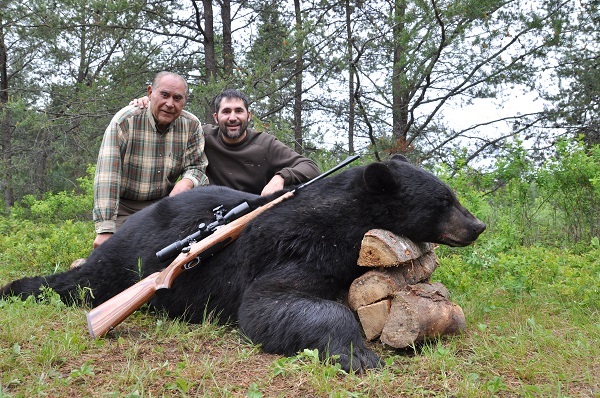 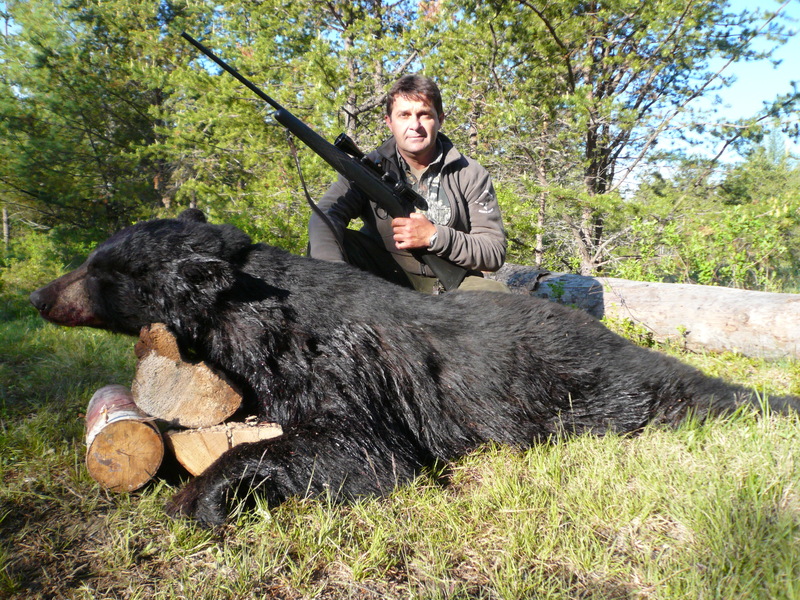 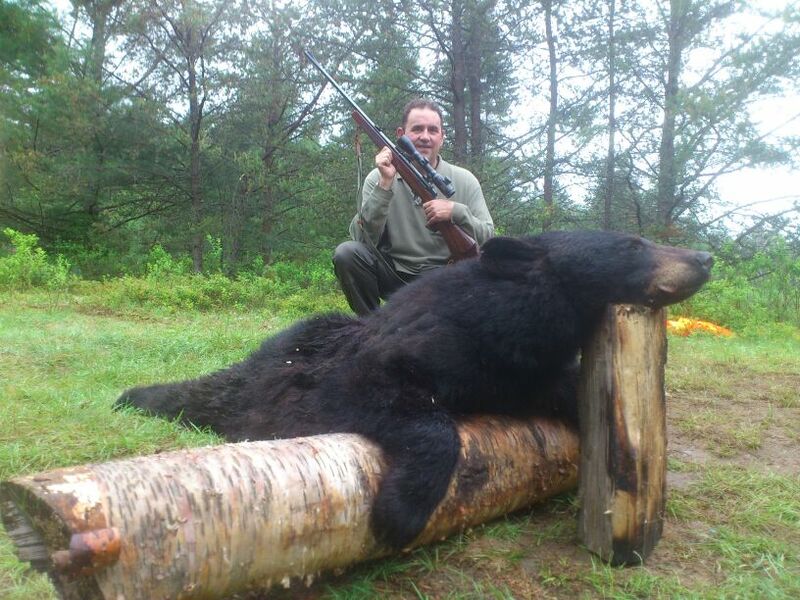 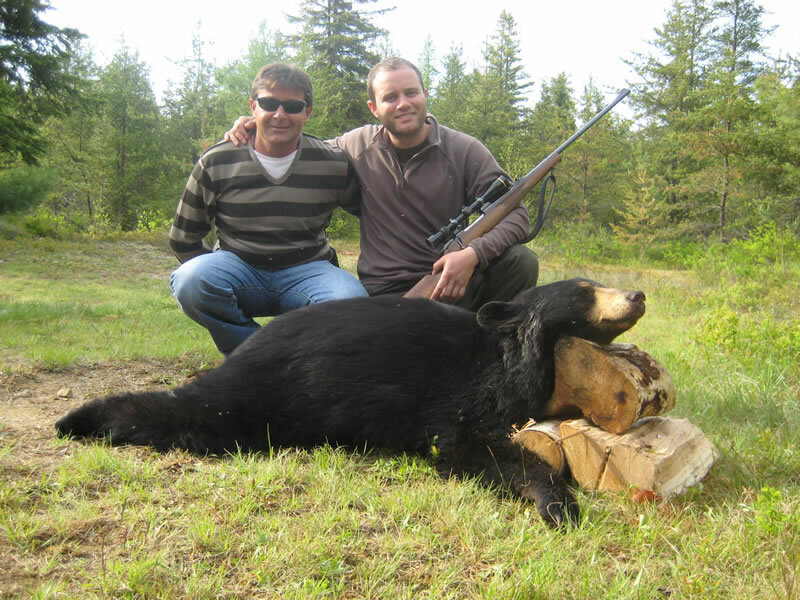 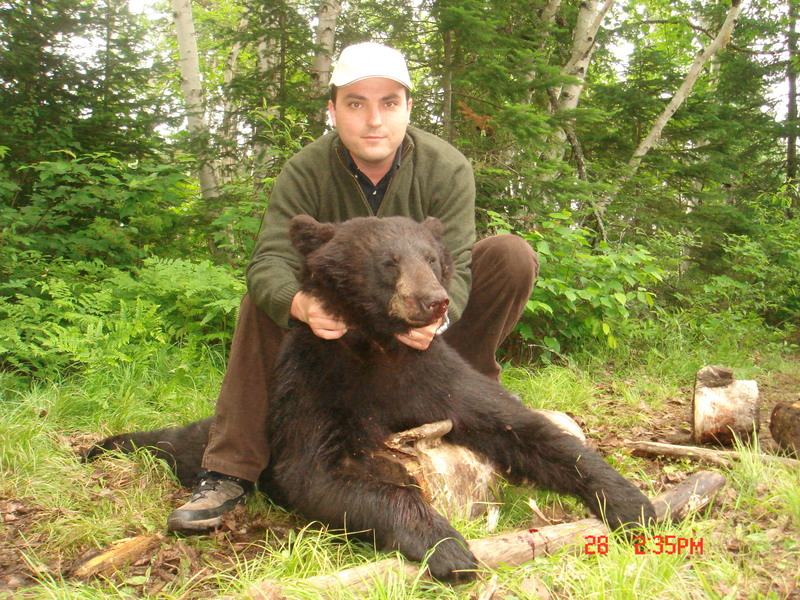 We hunt them in 2 areas, the first one is only 2,5 hours from Montreal´s airport so it is very easy to reach, it is a faunistic reserve so the population of bears is really high and the average trophy size is one of the best ones in all Quebec, here we can only hunt 1 bear per hunter. 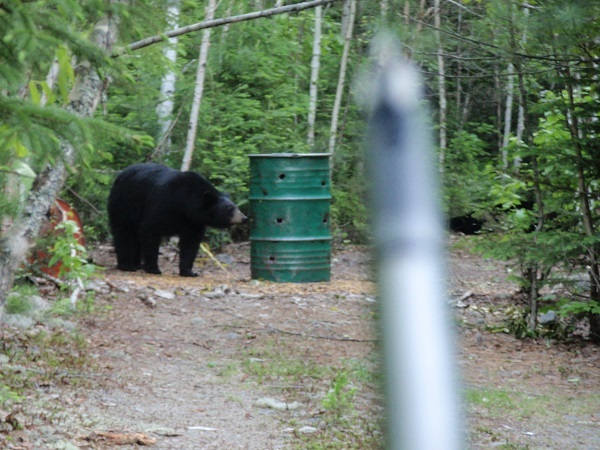 The second area is in the border of Quebec and New Brunswikc, here we can hunt 2 bears per hunter as one it is hunted in Quebec and the second one in New Brunswick, the accomodation is in a hotel, the hunter has to fly to Mont Joli. 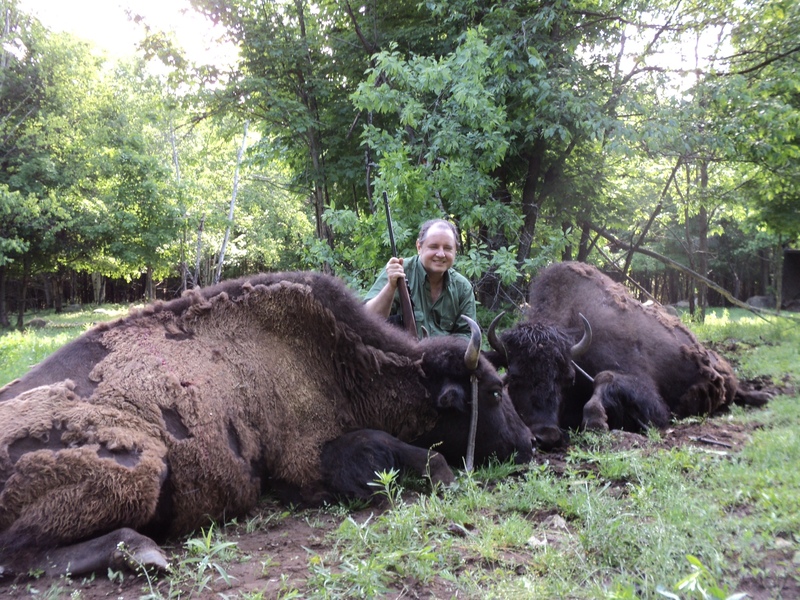 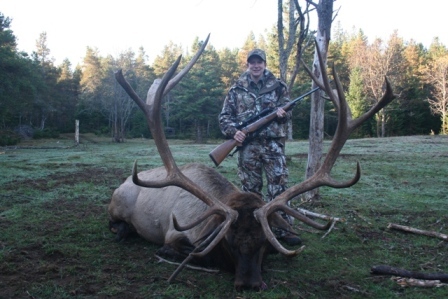 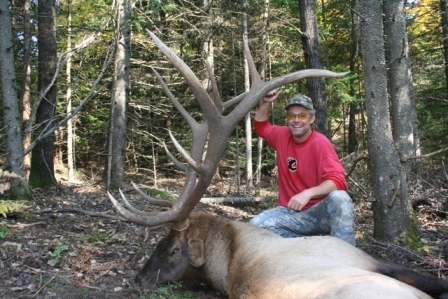 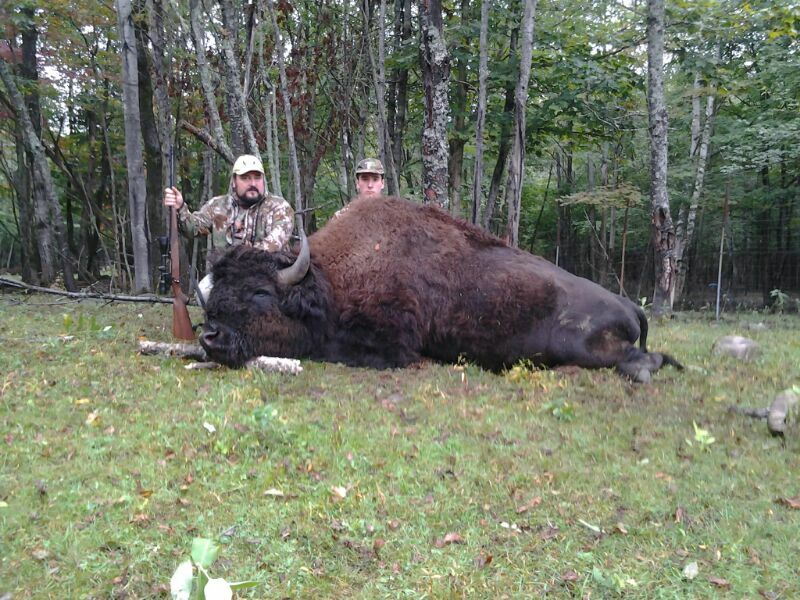 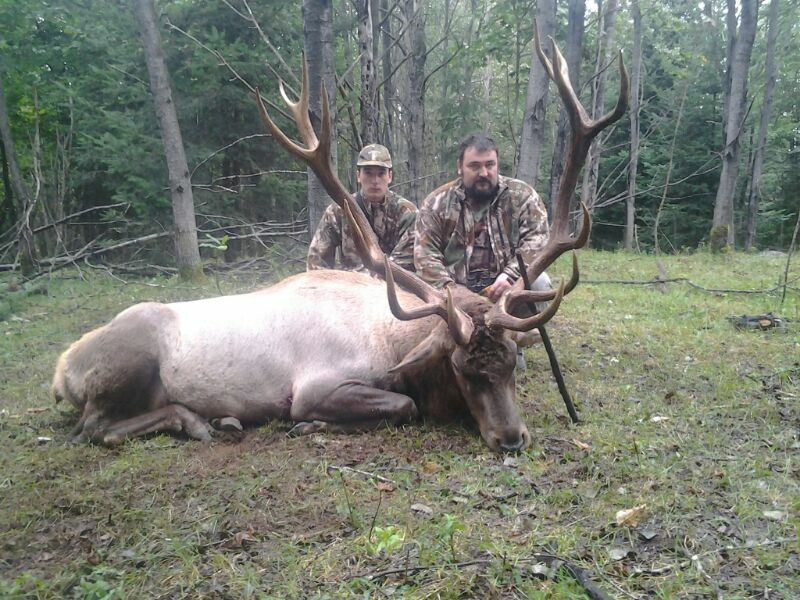 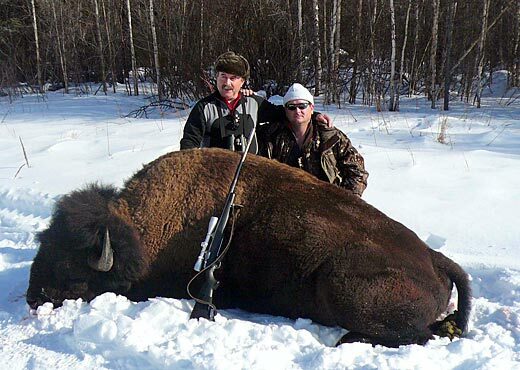 Bison, elk and whitetail deer: the hunting area is situated at 2 hours nortwest of Montreal. 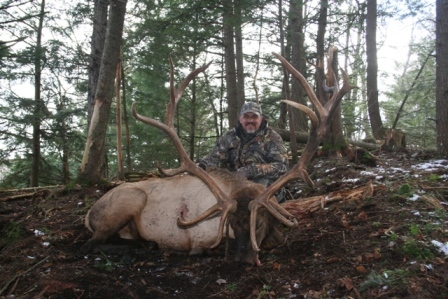 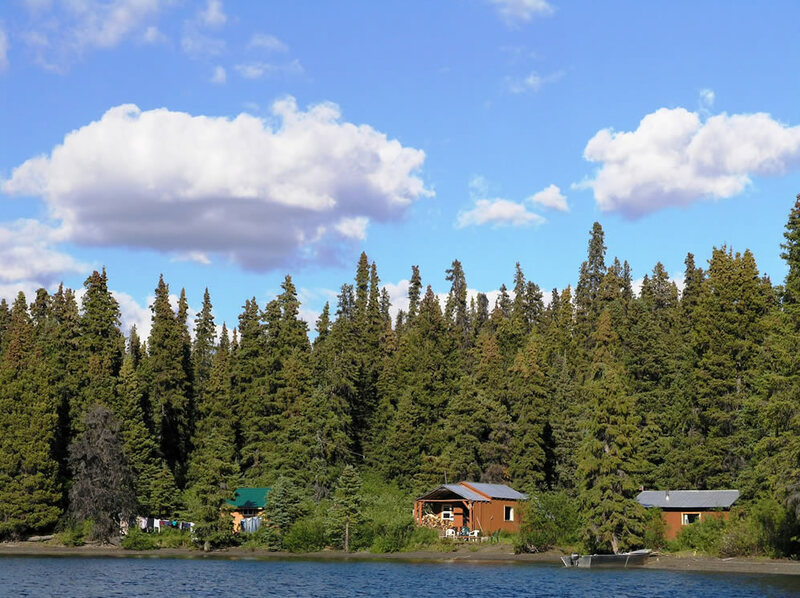 It is a fenced area of around 200 hectares (400 acres) with a very nice lodge. .
Caribou: we hunt in the north of Quebec where the 2 biggest herds are found (Leaf River and George River), the hunting season is from august to september. 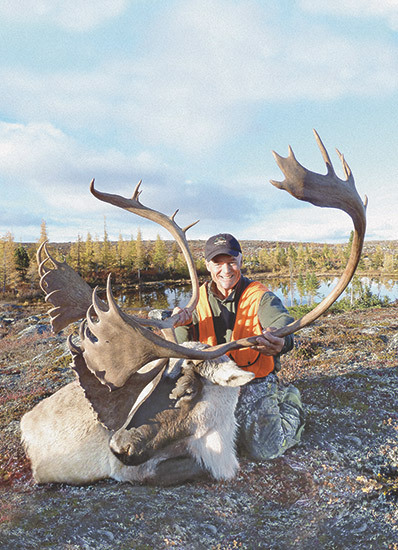 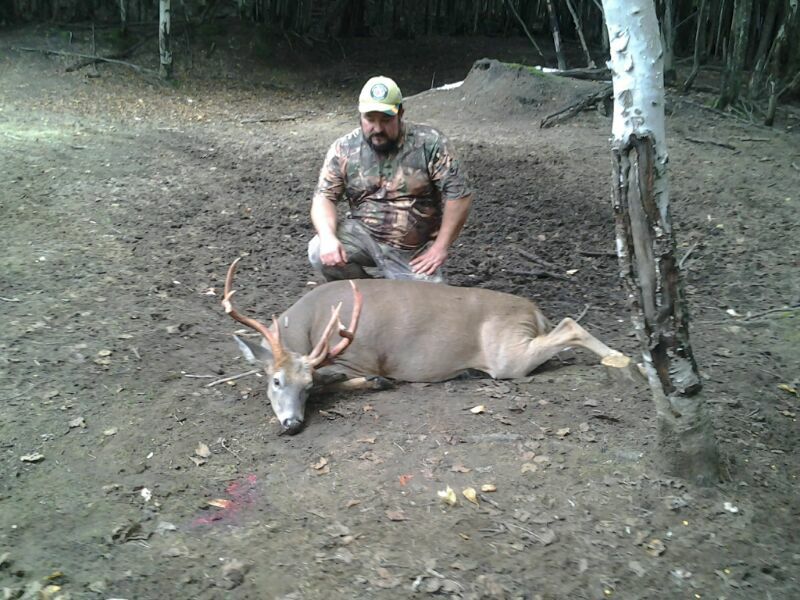 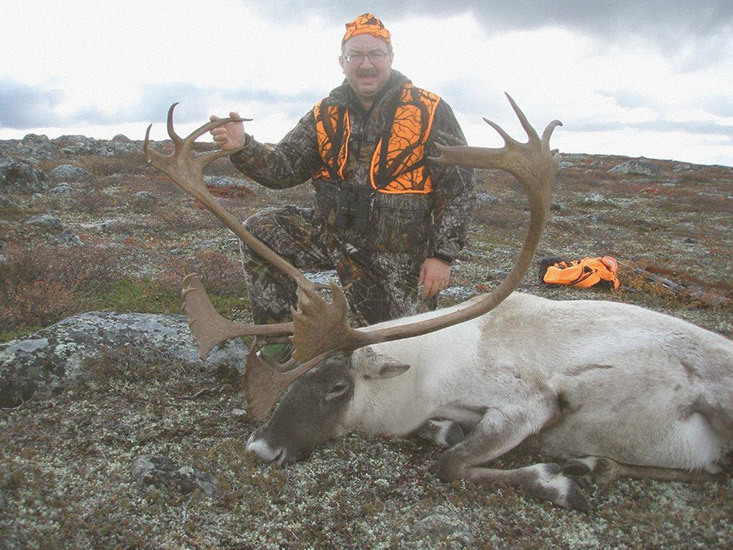 It is a package with 2 caribous per hunter and the 2 flights from Montreal to the hunting area are included in the Price. 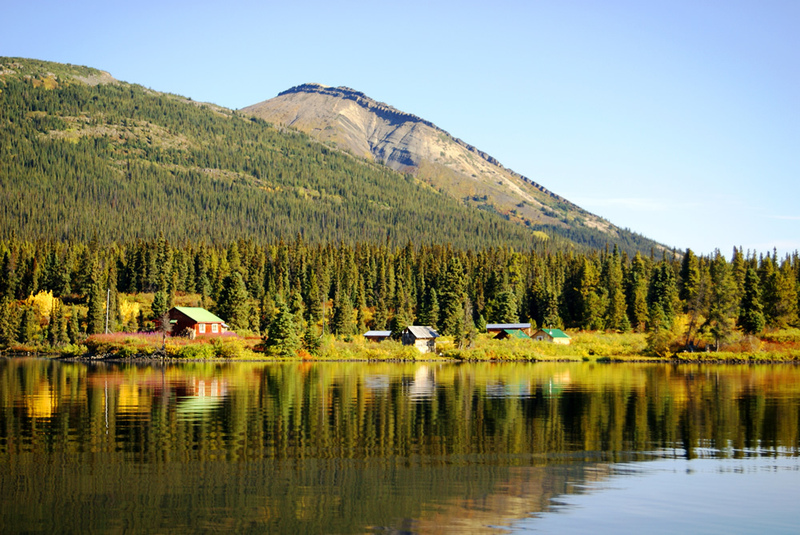 It is the second Canadian state counting from the west. 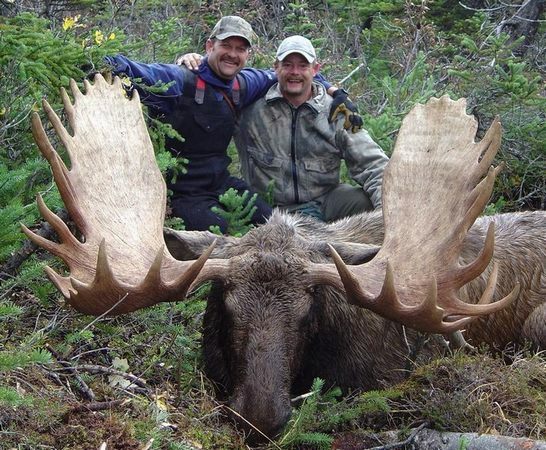 Here it is interesting the moose hunts, we can find some good trophies of around 40-50 inches and the prices are usually much lower tan in British Columbia. 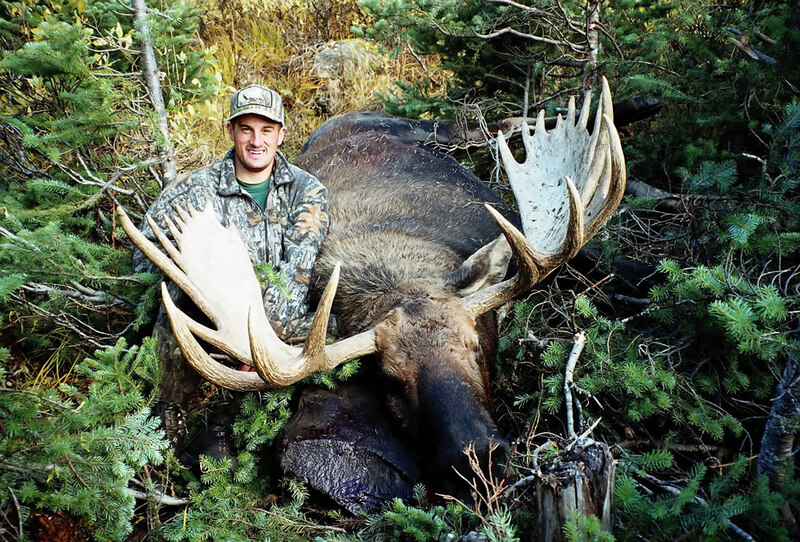 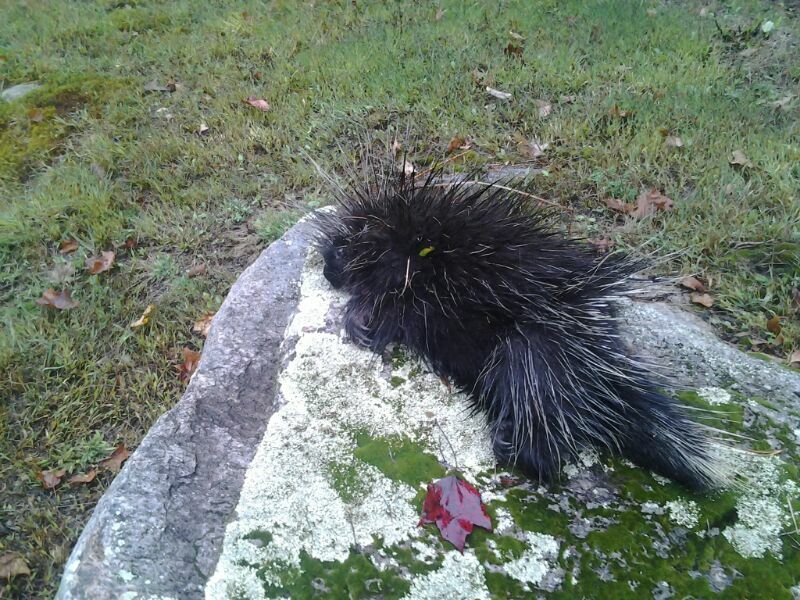 It is possible to combine it with black bear, mule deer, whitetail deer, or even elk. 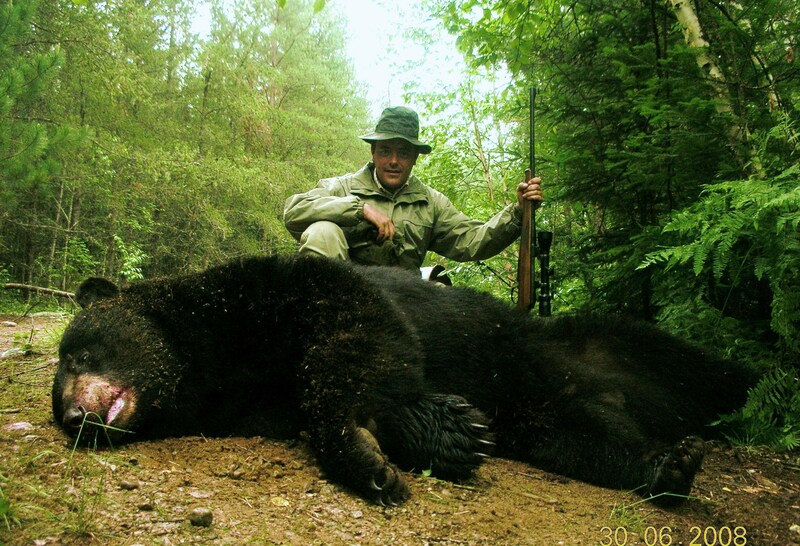 The black bear hunts are also very interesting, you can hunt 2 and the good thing comparing to the hunts in Quebec is that sometimes you can stalk them, the color goes from black to cinamon and their size are usually a little bigger. 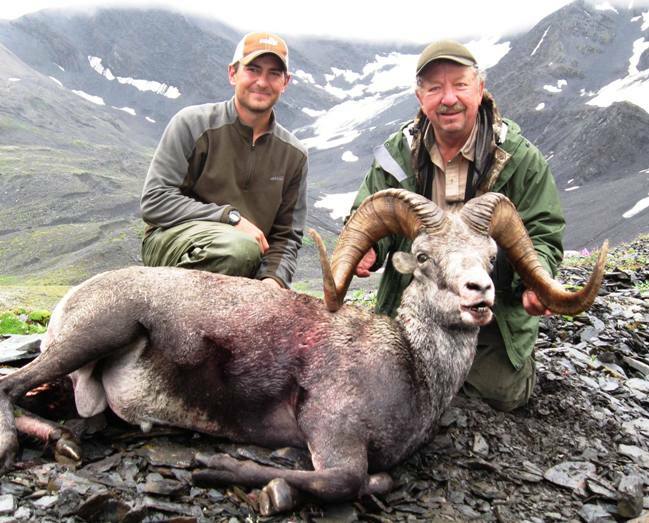 In winter time there are also some nice wolf hunts with high success rate in 1 wolf per hunter. 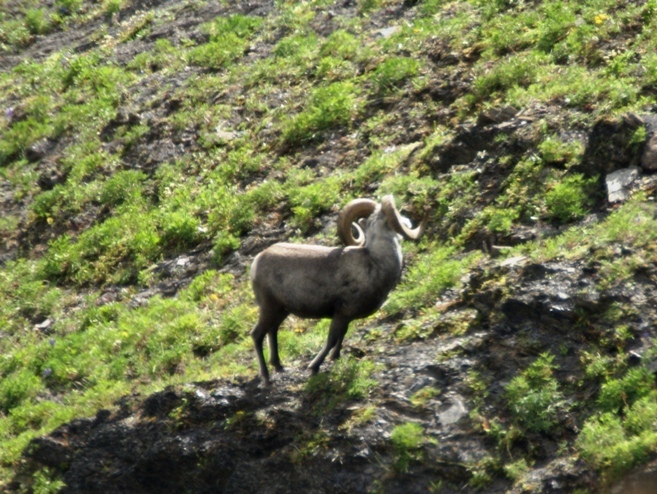 Here we can find moose, mountain caribou, black bear, grizzly, mountain goat, dall sheep and stone sheep. 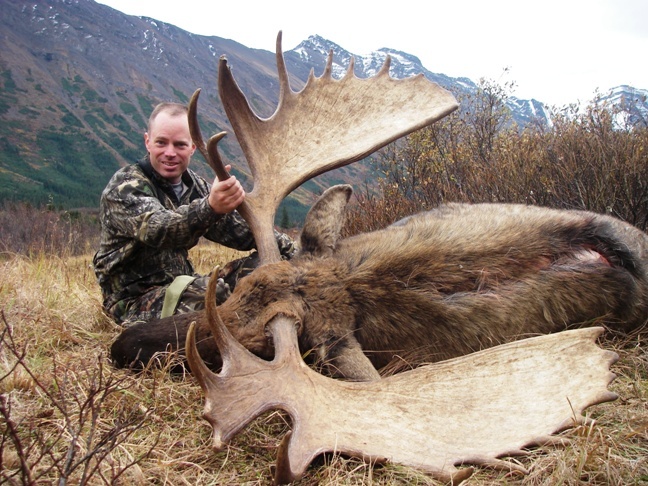 For the moose it is very important to go during the rut period as the rest of the season they are much more difficult to find, usually the rut period goes from september 15th to october 15th. 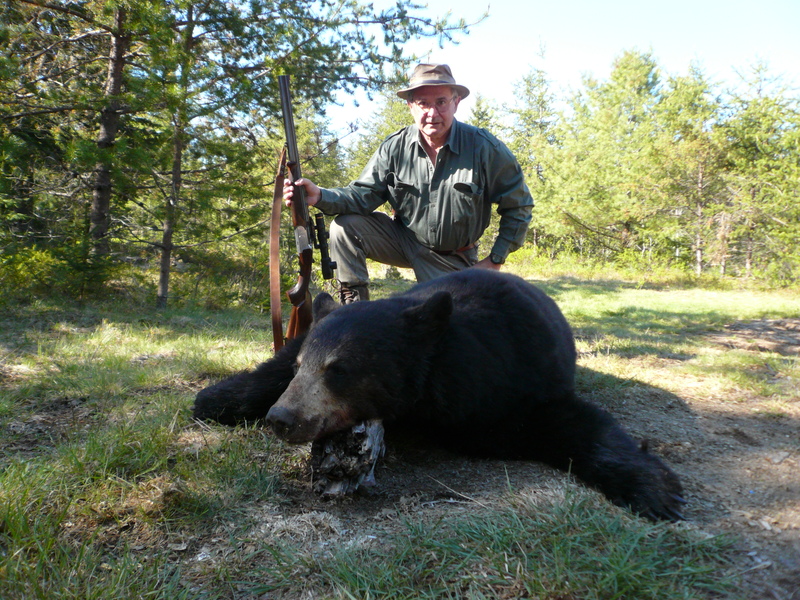 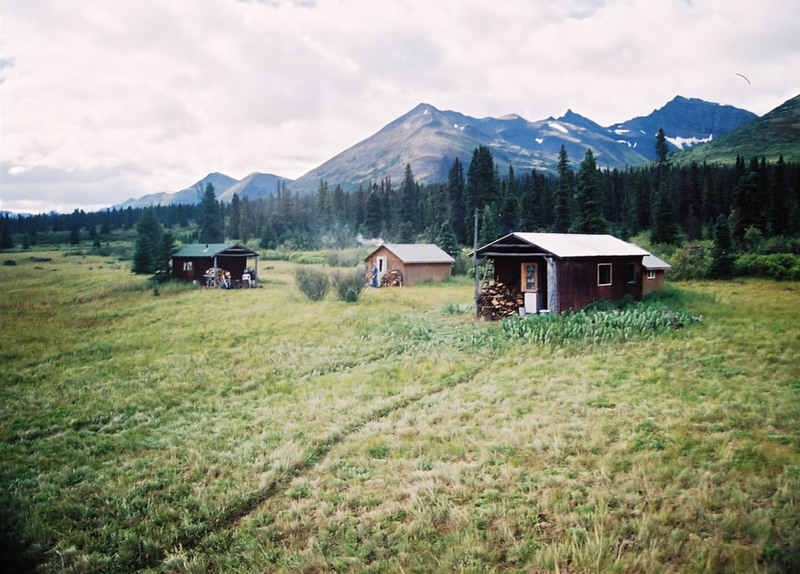 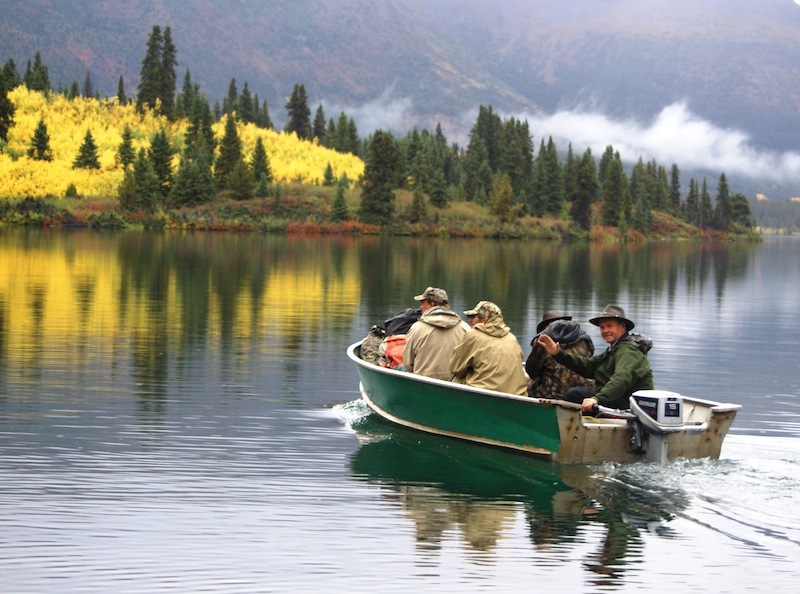 We hunt mainly in two areas: Smithers and Fort Nelson. 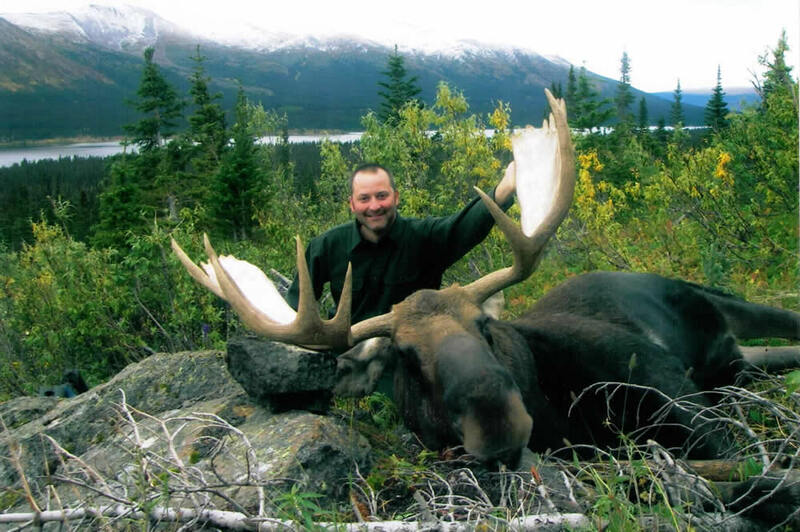 The second area is a Little more expensive but produce bigger trophies as it borders Yukon and therefore the moose is very often from Yukon. 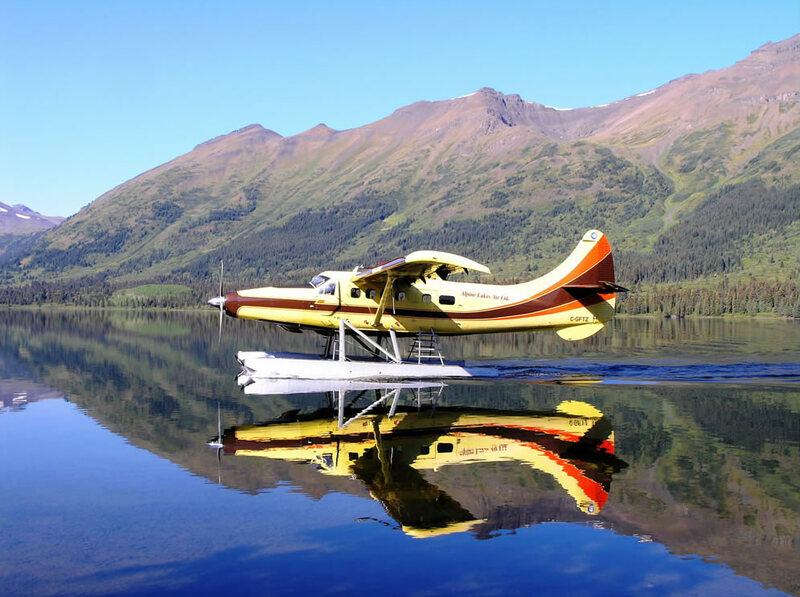 These areas are very remote so the only way to reach the main camp is flying. 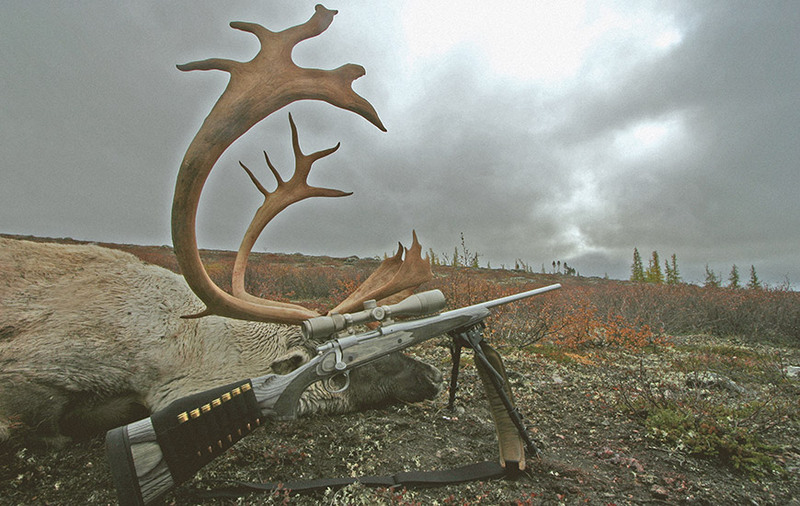 Once you reach it the next day you will start hunting by horse, boat or backpacking depending on what you want to hunt and how you want it. 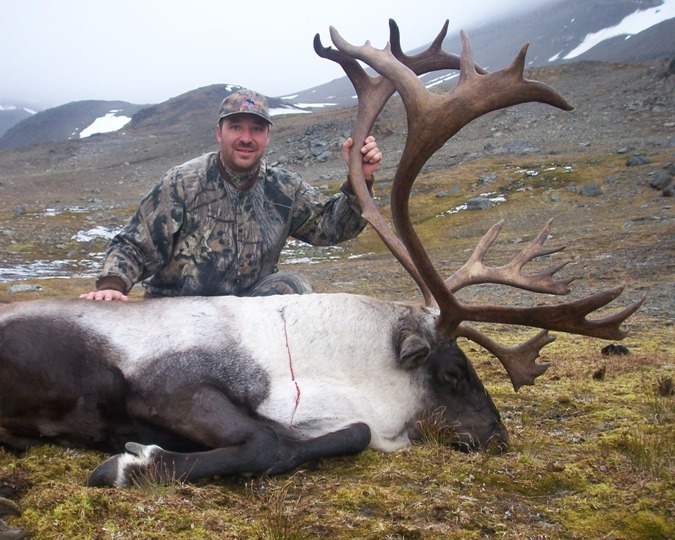 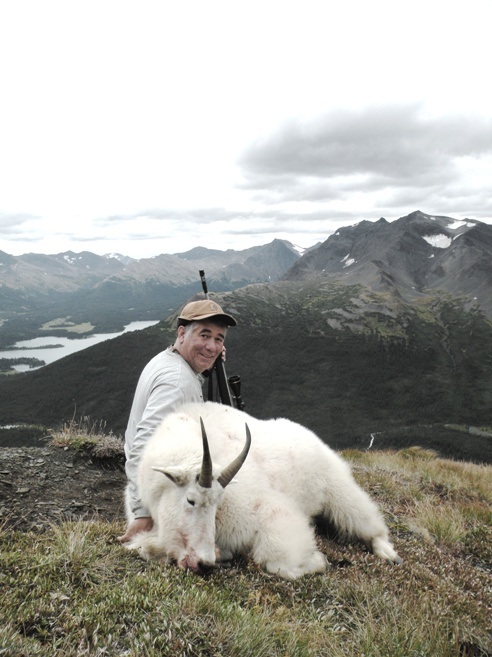 Yukon and North West Territories are probably the states with less hunting pressure so their trophies are usually the biggest ones although their prices are also the highest ones. 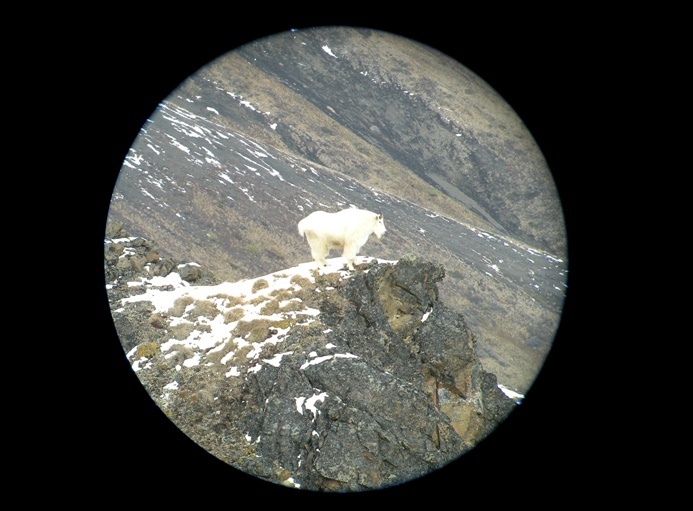 In Nunavut we can find the polar bear, it is still posible to hunt it although the number of licenses are not high so it is very important to plan the hunt well in advance. 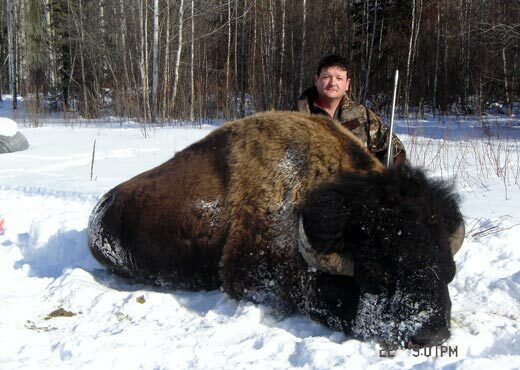 We can also find some other animals like musk ox, caribou and wolf. 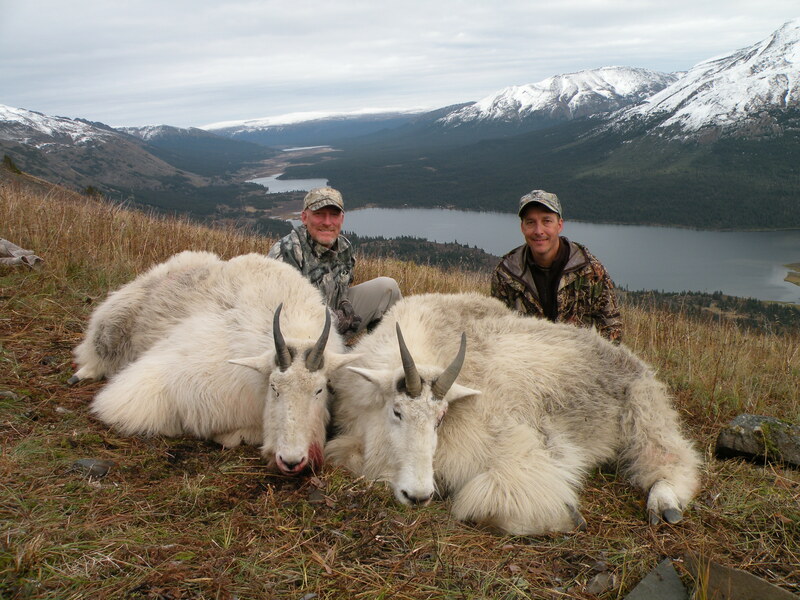 The wolf is usually hunted by chance but the 2 first species are almost garanteed and their trophies usually are very good.